Mary Ann Danowitz has undertaken international travel, work and research throughout her academic career. 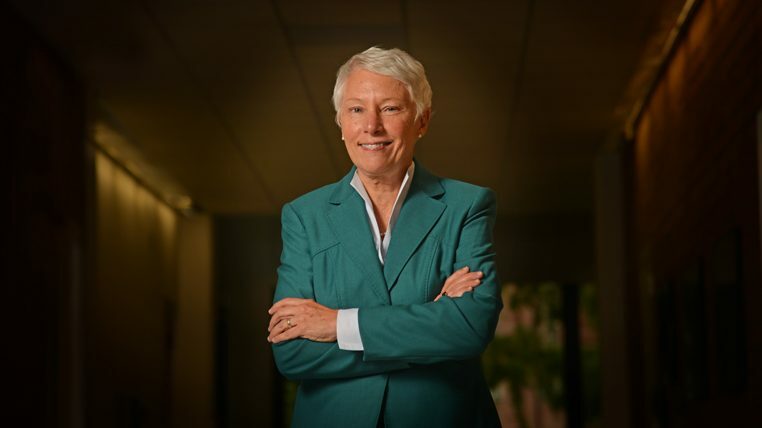 Prior to coming to NC State as dean of the College of Education, she was a research fellow at Austria’s Vienna University of Economics and Business. She held Fulbright Fellowships in Indonesia and Austria and has conducted research across Europe, in addition to leading the Ohio State University’s graduate study abroad program for 10 years. When she decided to make a leadership gift to the College of Education, Danowitz knew endowing a study abroad scholarship would be a lasting way to make a difference for students. Danowitz believes that for education students, study abroad opportunities can be particularly important. Study abroad was certainly an exciting eye-opener for Chantal Warfield, the inaugural recipient of the College of Education Study Abroad Award Danowitz created. Warfield is an education general studies major, with a minor in Africana studies, who will graduate this May. She plans to pursue a graduate degree in library science to become a children and teen services librarian. Last summer, she participated in the five-week STEM and Liberal Studies in the UK course based in London. Her program included attending “Hamlet” at the re-created Globe Theatre, as well as hands-on trips to Westminster Abbey, Stonehenge and Bath. “In the library, I’m going to have to interact with people who don’t look like me, who might not be people I would normally interact with. To be able to experience different cultures and different things in the world is important,” Warfield said. The trip would not have been complete for Warfield without seeing Paris. Her last weekend in the program, she and a friend boarded a bus, and then a ferry, in order to see the city – and the Eiffel Tower. Making this longtime dream a reality quickly became one of her favorite parts of her travels. Warfield has known several people who wished they had studied abroad in college, and participating in a study abroad program had been her goal when coming to NC State. Her mother assists with tuition, but Warfield decided to fund her trip herself. 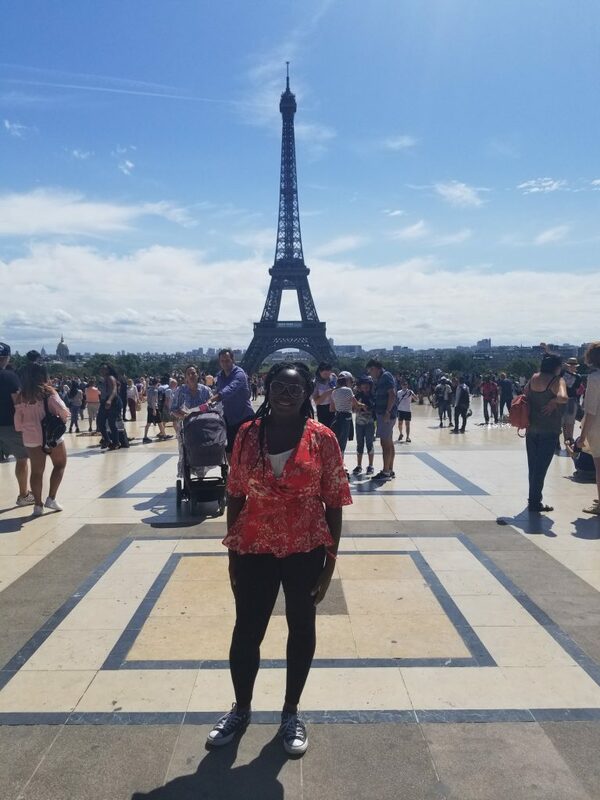 She applied for as many forms of aid she could find, and, with the support of the College of Education Study Abroad Award, she was able to enjoy her travels without taking on debt. When Warfield returned into the fall, she and Danowitz had the chance to meet and discuss the trip. For Danowitz, learning about Warfield’s time in London was a meaningful part of creating the award fund. As a college dean, Danowitz is keenly aware of private support’s impact. The requirements for students training to become educators often involve additional expenses, such as a professional wardrobe for student teaching, transportation to and from their assigned school and, for many, classroom supplies. With 75 percent of College of Education students demonstrating financial need, these requirements become an especially heavy burden to achieve their dream to become teachers. Before Warfield pursues a graduate degree, she plans to apply to join NC State’s College Advising Corps to help rural students through the process of applying to college. The role will draw on the expansive leadership skills she has gained through study abroad and as president of the Multicultural Young Educators Network, treasurer of the Education Council, College of Education Student Ambassador, AYA Ambassador with the African American Cultural Center and treasurer of NC State’s chapter of the National Pan-Hellenic Council – among many roles. Extraordinary experiences prepare NC State students to make a difference for the young people they will encounter in their careers after graduation. Danowitz views her decision to invest in the college as a donor as a natural part of that calling. Your gift can help future educators gain valuable experiences through study abroad.